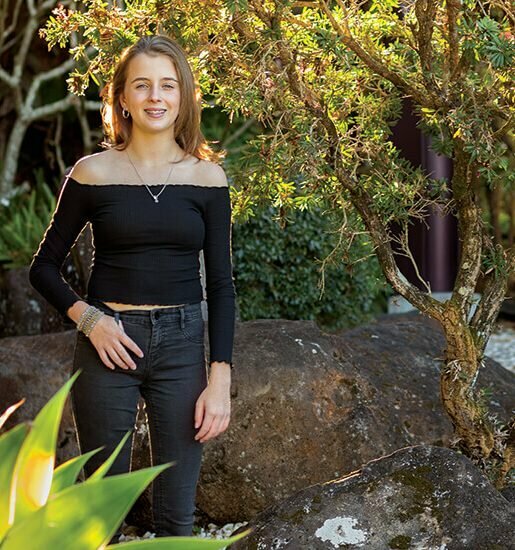 As the world tunes in to watch the sporting elite compete at the Commonwealth Games on the Gold Coast, we meet the Sunshine Coast’s first family of sport. 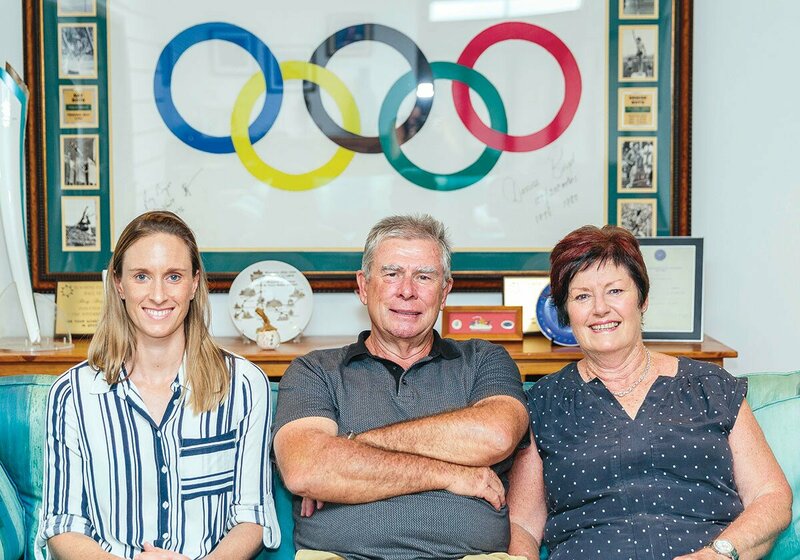 Recently inducted into the Sunshine Coast Hall of Fame, Ray and Denise Boyd and their eldest daughter Alana, have collectively competed at seven Olympics and eight Commonwealth Games, swagging an impressive 11 gold, silver and bronze medals. An Olympic flag is mounted on the wall, with action shots of Ray and Denise Boyd bordering the colourful rings; to the left sits an Olympic torch and on the adjacent wall are gold, silver and bronze medals won at the most prestigious sporting events in the world. 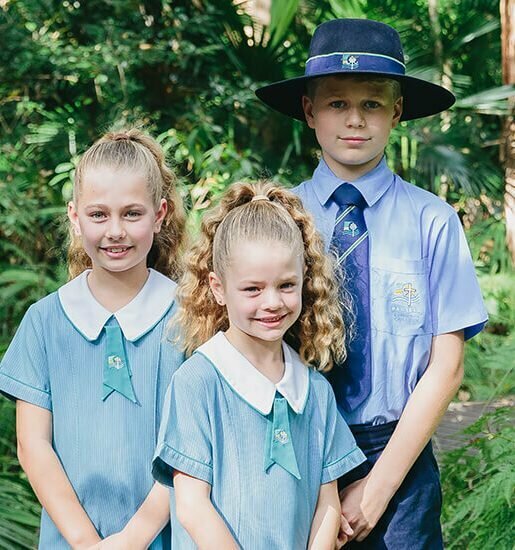 There is no denying Ray and Denise possess incredible sporting prowess, which they have passed onto their three children, Alana, Jacinta and Matthew; all of whom have competed at an international level. Their eldest daughter, Alana pushed her talents the furthest, competing in three Olympics and two Commonwealth Games, where she won gold in 2010 in Delhi and in 2014 in Glasgow. Her selection into the 2008 Beijing Olympics also marked the first time a child of two former Olympians competed on an Australian Olympic team. 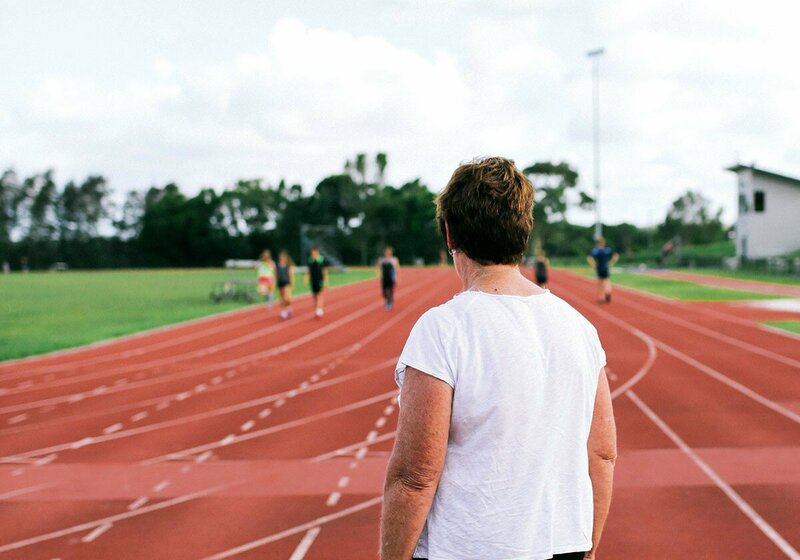 Growing up in Brisbane, Denise competed in athletics from the age of seven, often against children up to three years older, as the youngest competitive age group was Under 10s. “I won the Queensland state 50 yard title at the exhibition ground when I was nine years old, in 1962. 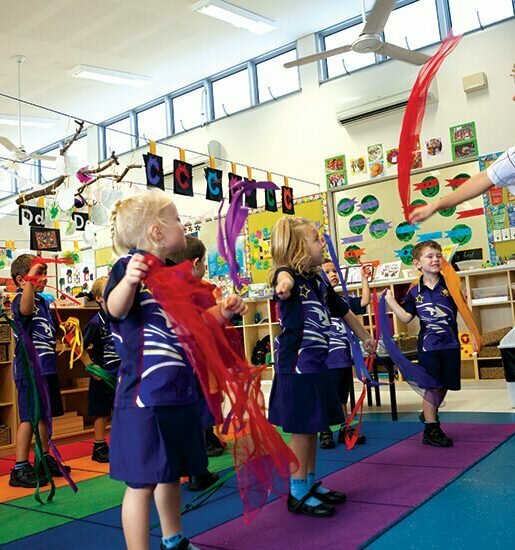 I was just a bit quicker than most of the other kids at school and I really enjoyed it,” she says. It proved to be a sports meet in more ways than one, with Denise and Ray being introduced on their way to the airport. “Everyone was getting on the bus, the pole vaulter always gets on last, and I was shoved through the door and there was only one seat left at the back of the bus, next to Denise,” says Ray with a smile. 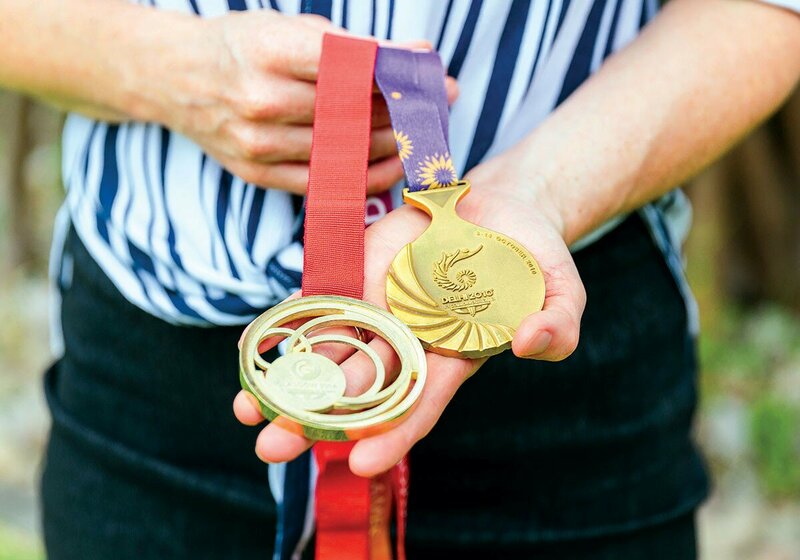 Denise was 21 when she competed in her first Commonwealth Games in Christchurch in ‘74, where she won gold in the 4x100m relay and then backed it up with gold in the 200m dash at the ‘78 Games in Edmonton. Then in 1982, champion pole vaulter, Ray, won gold in Brisbane. As a child, Ray was an all-rounder; he loved sprints, cross country and high jump (he desperately wanted to trump his father’s high jump record at school, but says he never did), and was introduced to pole vault at a weekly meet in Melbourne. “I lived across the creek from Collingwood Harriers Athletics Club in Melbourne and every Sunday morning they had a junior play thing. There was a guy standing there with the pole and a box and kids would line up. They were aluminium poles in those days and up over the bar you’d go and land in sawdust. You’d have to go with a shovel and turn the sawdust because it used to pack down after the rain,” he says. Alana’s introduction to pole vault was a little different, with Ray stumbling across some poles in the equipment shed at the University of the Sunshine Coast track in 2001. “I was 18 when I started pole vault, so pretty old in terms of starting an event,” says Alana. Alana qualified for the 2006 Commonwealth Games, but her first Australian team as a pole vaulter was in 2007. She then competed at a world class level for the next 10 years, with Ray as her coach. “There is double the amount of pressure being a father and coach, I’m a lot more relaxed when it’s not my own. You need to make the right call or they’ll pull you up on it! I remember when we were in Monaco, Alana walked over at one stage after missing and I said, ‘I think you need the next pole’, and she looked at me and said, ‘You think or you know?’ It was a fair question but it was just a turn of phrase and she took it literally. She changed the pole and jumped a PB – it was a great decision,” says Ray in jest. From 2009 to 2012, Alana moved to Perth to train under Alex Parnov, who had also coached Australian champion Tatiana Grigorieva. Alana excelled, but after three years she reached a point where her decision was to retire or come home. “I didn’t want to retire because I’d had such a good year jumping previously, I jumped a PB and I didn’t have the Olympics I should have, I was 28 and thought I still have a few good years left in me yet and that’s what kept me going. I came back and started training with Dad again and it was way better, we still had our moments, that was to be expected, but the last two years of my career were my best in terms of performance and not being injured and having that culminate at the Olympics,” she says. 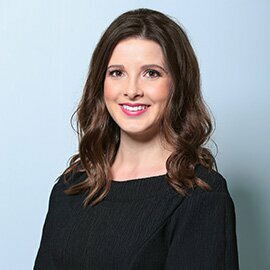 Alana retired after the Rio Olympics in 2016, and a month later married her husband Ryan, who she now owns and runs a business with in Maroochydore. From 4 to 15 April, Ray, Denise and Alana will be on the Gold Coast, watching the 2018 Commonwealth Games, which is the first major competition since Alana’s retirement. “I miss competing when you’re in good shape, I don’t miss competing when you’re trying to pull a rabbit out of a hat! But as much as competing at the major is what you train for and it’s exciting, it’s bloody nerve wracking too, with the preparation and everything that goes into it, I’ll be happy just to sit in the stands,” says Alana. Ray won 11 Australian championships in pole vault, ending his career on a high by winning a gold medal at the 1982 Commonwealth Games in Brisbane. He competed in two Olympics (Munich 1972 and Montreal 1976) and three Commonwealth Games (Edinburgh 1970, Christchurch 1974 and Brisbane 1982). Boyd’s best vault of 5.30 metres was achieved in Melbourne in March 1976. Denise was one of the greatest sprinters throughout the 1970s and ’80s. She represented Australia at the 1976 Montreal Olympic Games and was the Australian team’s joint flag-bearer at the 1980 Moscow Games. At the Commonwealth Games in Christchurch in 1974, she won bronze in the 100m, silver in the 200m and gold in the 4x100m relay. In Edmonton in 1978, she won bronze in the 100m and 4×100 relay, silver in the 4x400m relay and gold in the 200m. In her final Commonwealth Games appearance in Brisbane in 1982, she won a silver medal in the 4x400m relay. Alana won her maiden national pole vault crown in 2008, before achieving a 4.30m clearance on Olympic debut at Beijing 2008. 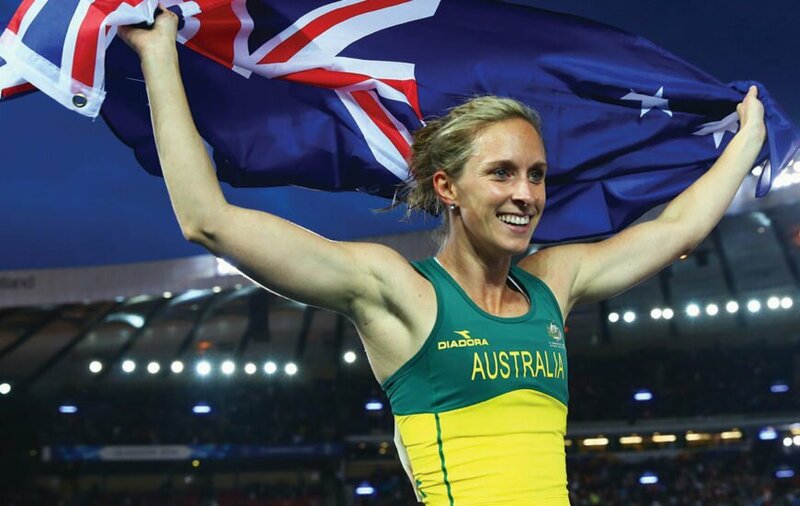 She has since won the Australian Athletics Championships gold medal on three occasions (2009, 2013 and 2015). Alana won gold at the 2010 Delhi and 2014 Glasgow Commonwealth Games, a bronze medal at the IAAF Continental Cup in Marrakech and a personal best of 4.81m in 2016 to become Australia’s best female pole vaulter. She was an Olympic finalist in London in 2012 and closed out her career with a 4.80m jump and fourth place at the Rio Olympic Games in 2016.